Why Should You use Spray Foam Insulation? Residential spray foam insulation provides you with an array of immediate and long-term benefits. Below are several reasons why you should use spray foam insulation and why it’s guaranteed to last. When measuring the effectiveness of insulation, R value is the only factor most insulation manufacturers talk about because it’s all they offer. R value measures the ability to limit conductive heat flow (heat transferred through it). But the primary method of heat transfer is not conductive heat flow — it’s air leakage (convection). Air leakage can account for up to 40% of a building’s energy loss, and it cannot be stopped with traditional insulation. R value is important, but an airtight seal is equally important for achieving energy savings. Icynene-Lapolla spray foam insulation provides insulation R value and air-sealing in a single step. This is the only way to truly provide your clients with the most energy-saving value from their insulation costs. Cold Floors? Exterior walls drafty? 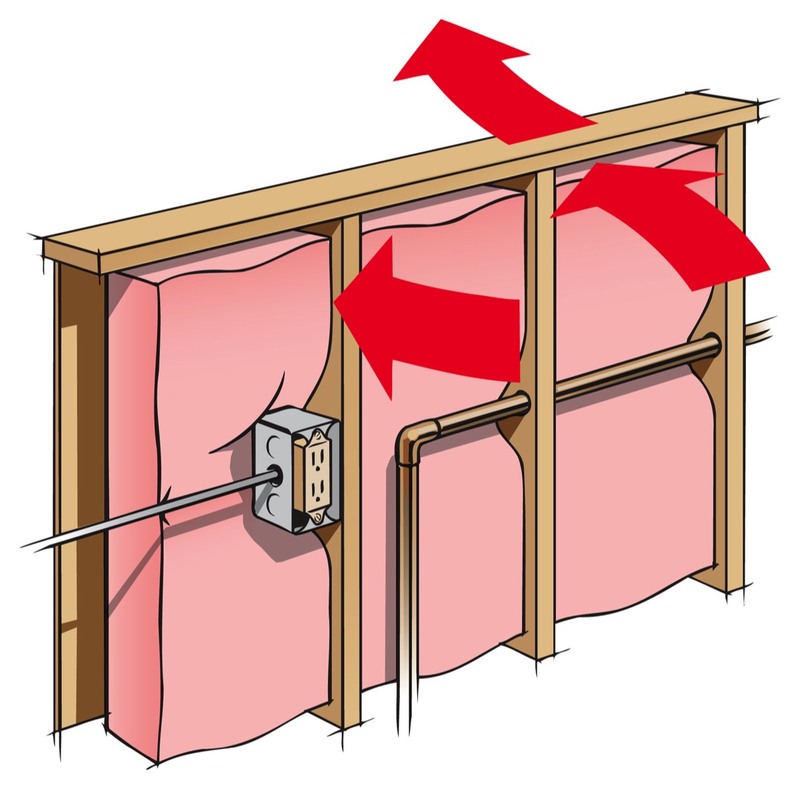 Unless continuous contact can be maintained, void spaces will exist between the batt insulation and the floor above. These void spaces can range in size from small pockets to, in some cases, the entire length of the room. Cold air that penetrates the insulation can flood the void space between the insulation and the floor, rendering the insulation ineffective. Complicating matters is the necessity to accurately install the insulation around bracing and bridging between joists. An unsealed house can leak enough air to fill two blimps everyday. Up to 40% of a building’s energy loss can be attributed to air leakage. 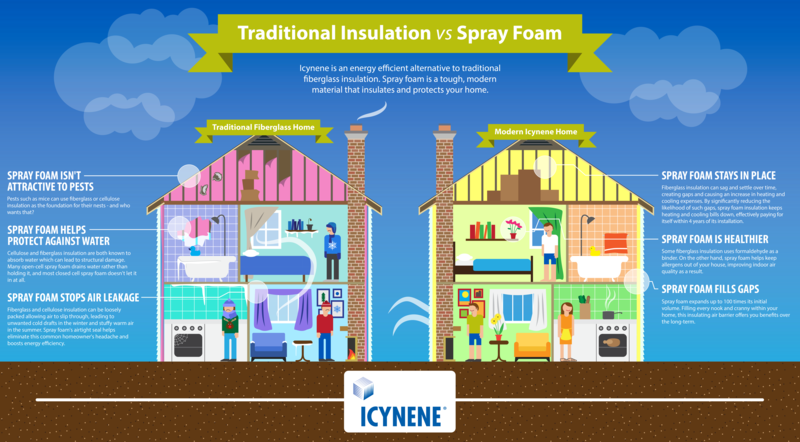 Icynene spray foam insulation can help you save on heating and cooling costs by up to 50%.